Are you ready to be financially free? I have free ebooks that can help you. Read below to get your free copies. There are people who work hard year after year, slaving away for bosses and managers who don’t appreciate them, just to earn a paycheck that does little more than pay their bills. They’re people who have all the money they need, they have all the free time in the world to travel, to spend with their kids, and to do their life’s calling… to really enjoy life. Growing up in a lower income family, I started with nothing and worked my way to wealth. By following the timeless principles of success and wealth building, I literally went from zero to multimillionaire. It wasn’t easy and it didn’t happen overnight, but I’ve achieved the American dream of financial freedom. Financial freedom isn’t something that only a chosen few can achieve. Everyone can be financially free. You just need to know how to do things in such a way as to make sure you succeed. On Page 15: Achieving financial freedom is not about having goals. It’s about something else entirely. I identify this essential component to wealth building. On Page 25: How to discover the “it” factor that propelled people like Michael Jordan, Andrew Carnegie, Jim Carey, Helen Keller, Lincoln and others to success. On Page 30: That habits are good, but something stronger is needed for financial independence. I identify the main tool behind my success. On Page 38: The one passion that all successful people share and how you can get it growing inside of you. On Page 61: The one fear that holds many people back from success and how to overcome it. On Page 74: The biggest regret most people have when looking back on their lives and how to make sure you don’t experience this regret in your life. Most importantly you’ll learn the very system I used to become financially free. If you are ready to start down the path to financial independence, get your free copy of my ebook, The Financial Freedom Formula today. Just enter your email address in the box below and click on the “Sign Up Now” button to download your free copy. BONUS #1: As a bonus for subscribing, you’ll also receive a free subscription to the Finding Freedom newsletter, with each edition conveniently delivered to your inbox. The newsletter contains exclusive articles and tips about financial freedom that only subscribers receive. 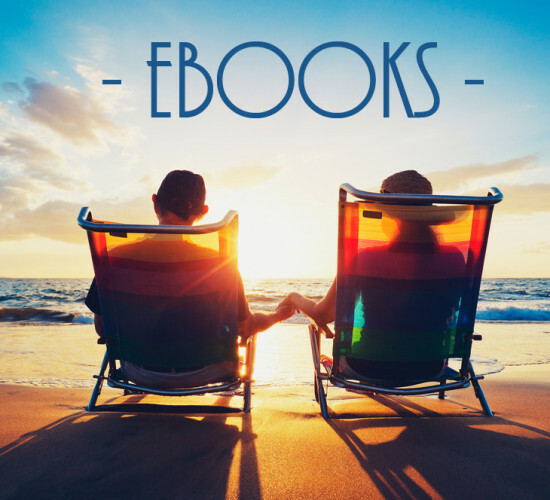 BONUS #2: As a subscriber, you’ll also receive 4 additional ebooks for free! To be financially free, you need the right tools and as a subscriber, you’ll receive The Simple 60 Minute Guide Series, a 4 set volume covering budgeting, saving, and success. Why act rich, when you can become rich with the right tools and resources. If you are ready to be financially free, becoming a subscriber is a great way to start. Thanks for reading. 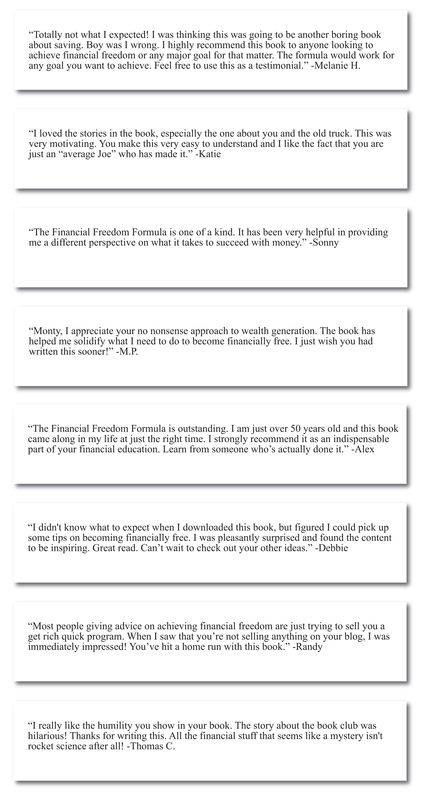 I hope the books and resources here are helpful on your journey to financial freedom. I look forward to seeing you on the blog.